Other photos: Salon, Salon, Salon, Salon, Salon, Galley, Galley, Galley, Galley, Dinette, Dinette, Day Head, Port Pantry, Port Pantry, Port Pantry, Starboard Pantry, Master Stateroom, Master Stateroom, Master Stateroom, Master Stateroom, Master Stateroom, Master Stateroom Head, Master Stateroom Head, Forward Stateroom, Forward Stateroom, Forward Stateroom Head, Port Stateroom, Port Stateroom, Port Stateroom Head, Starboard Stateroom, Starboard Stateroom, Starboard Stateroom Head, Crew Stateroom, Crew Stateroom Head, Crew Stateroom Head, Cockpit, Cockpit, Cockpit, Cockpit, Cockpit, Flybridge, Flybridge, Flybridge, Flybridge, Flybridge, Flybridge, Flybridge, Flybridge, Aft Flybridge, Aft Flybridge, Engine Room, Engine Room, Engine Room, Engine Room, Engine Room, Engine Room, Engine Room, Engine Room, Bow, Bow, Sneaker, Sneaker, Sneaker, Sneaker. 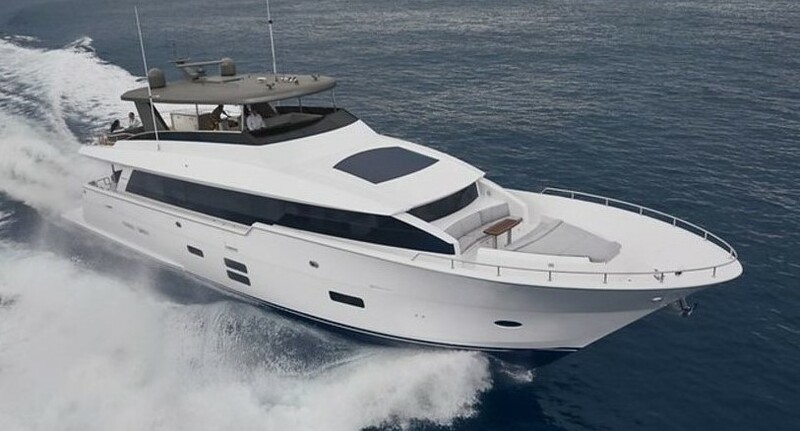 SNEAKER represents a fantastic opportunity to own a meticulously maintained and fully loaded HATTERAS YACHTS 77 CONVERTIBLE. Schedule your showing today.